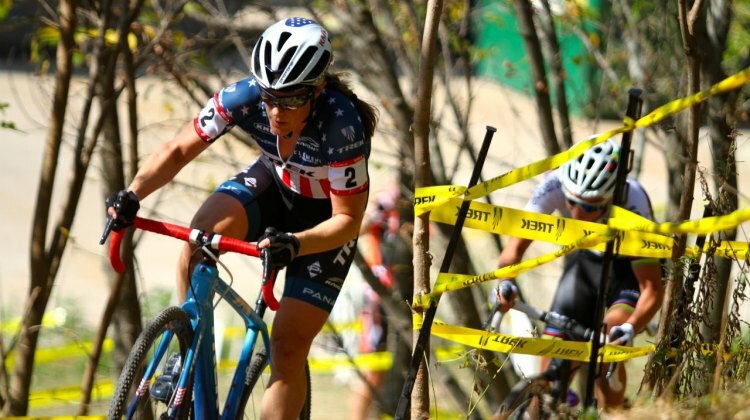 Kaiite Keough won both days at Charm City Cross to take over first place in the US Cup-CX standings after four races. See the updated series rankings. 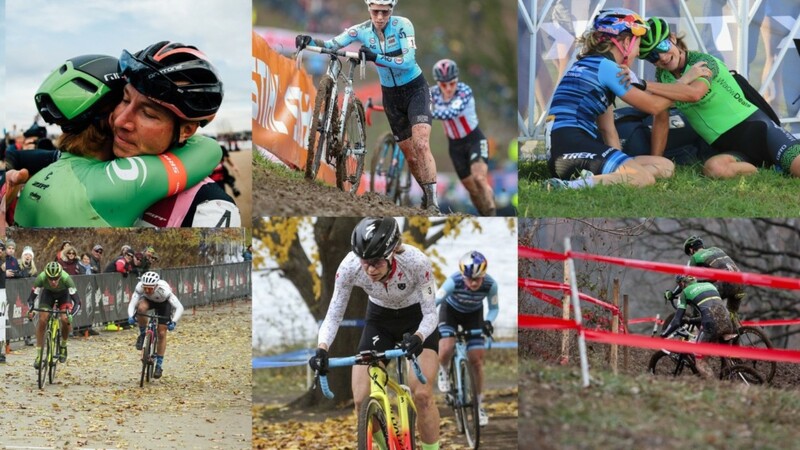 U.S. cyclocross racing has seen a lot of parity on the podium this season. We asked Tobin Ortenblad, Stephen Hyde and Kerry Werner for their thoughts. 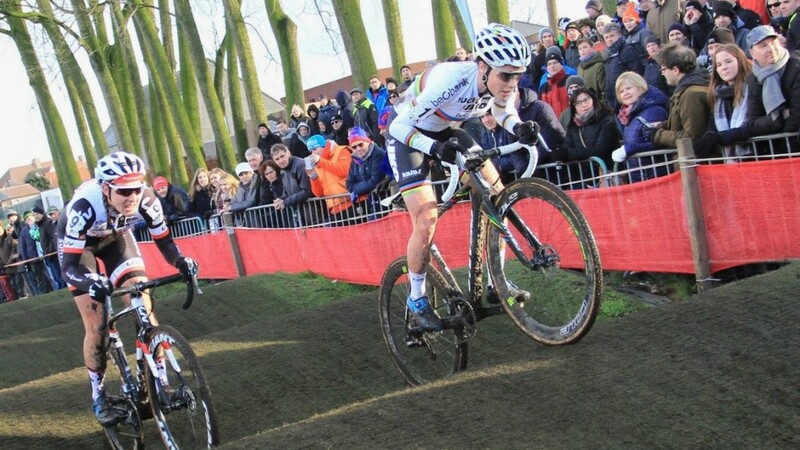 Lars van der Haar withstood attacks from Mathieu van der Poel and Wout van Aert and got away using an attack of his own at the 2017 DVV Trofee Hotondcross. 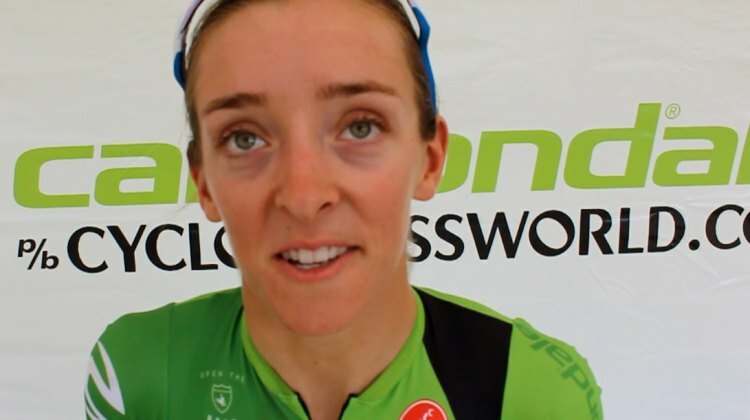 Logan Owen hits the pro tour, Meredith Miller and Georgia Gould are back, the CrossFit CX winner uses PEDs and a big rumor in this Rumors and Rumblings. 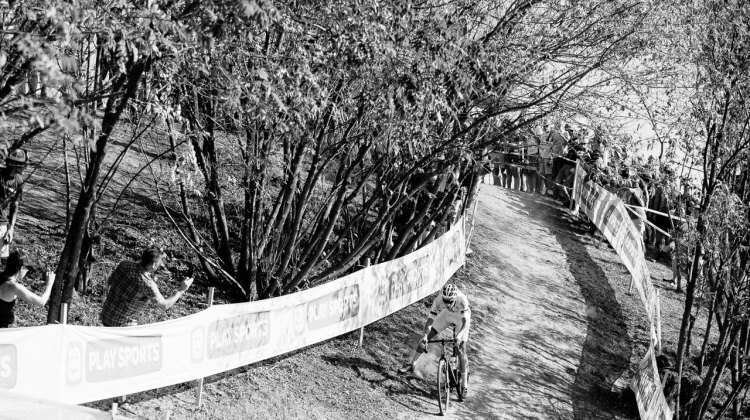 The US Cup-CX series returns this week with Charm City Cross at the historic Druid Hill Park in Baltimore. We have start lists and a race preview. Erin Feldhausen and Tristan Schouten took the wins at the 2017 Flyover Silver Creek in Wisconsin. 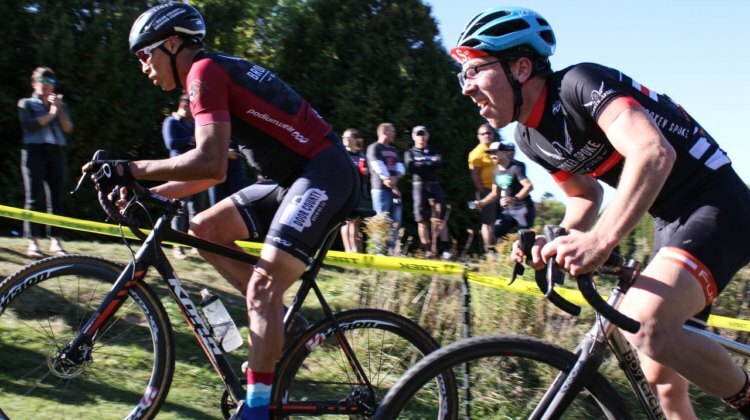 We have a race report and photos from Manitowoc. 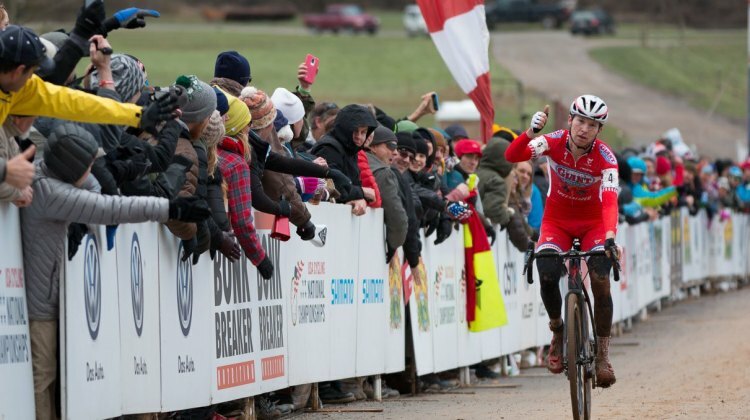 Two races of the seven-race US Cup-CX series are in the books. Three women are tied for first and Tobin Ortenblad leads the men. We have the standings. 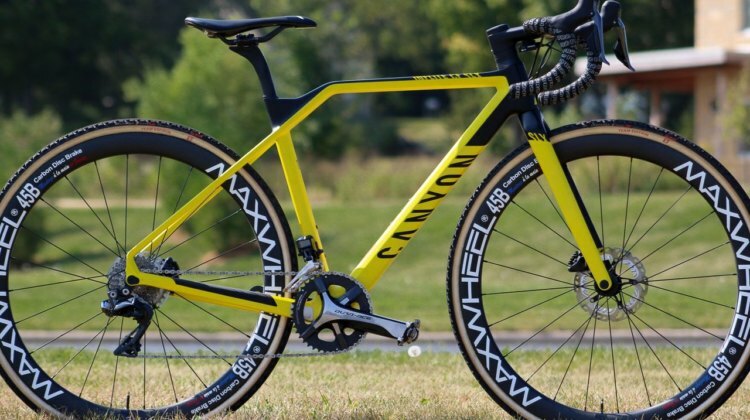 Lucie Chainel is riding the Canyon Inflite CF SLX carbon disc bike with Maxwheels this season. We profiled her setup at the 2017 World Cup Waterloo. Mathieu van der Poel had to work for it, but he stayed perfect on the season with a win at the 2017 Superprestige Gieten. We have a report and results. Dave Mable is back with another fun video from the 2017 World Cup Waterloo. 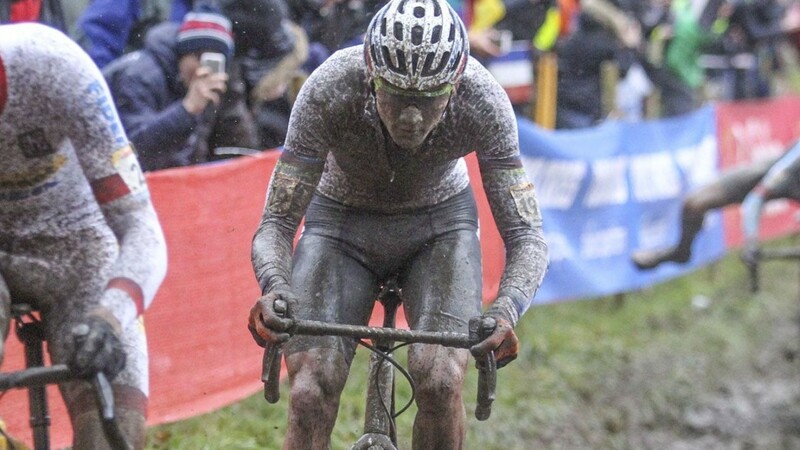 He played a game of This or That with a number of cyclocross stars. 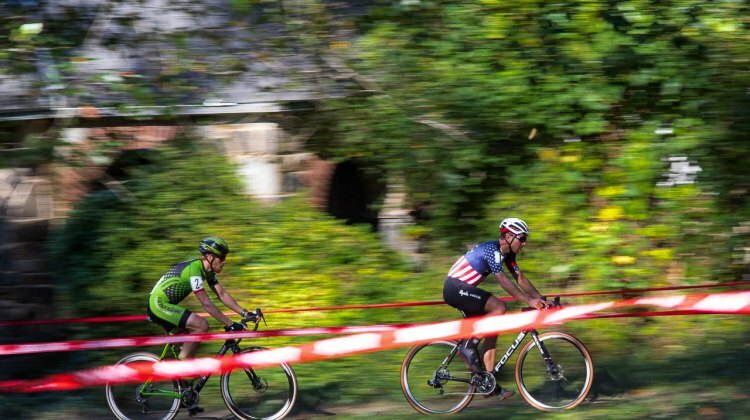 The 2017 KMC Cross Fest in Thompson, CT kicks off the new US Cup-CX series on Friday and Sunday. 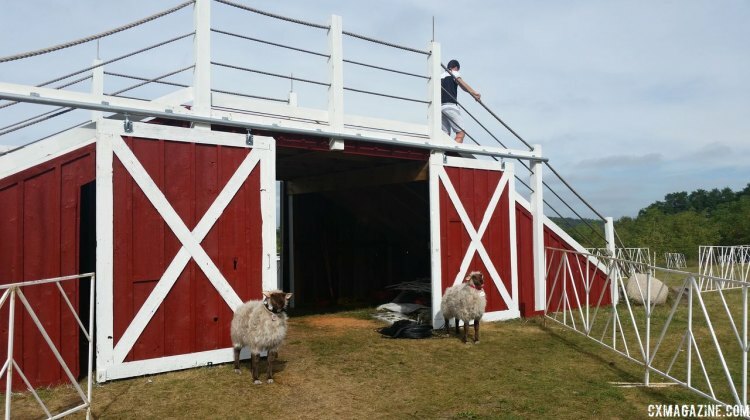 We have a preview of the weekend’s events. Daan Soete had a memorable afternoon at the 2017 World Cup Waterloo with a third-place finish. 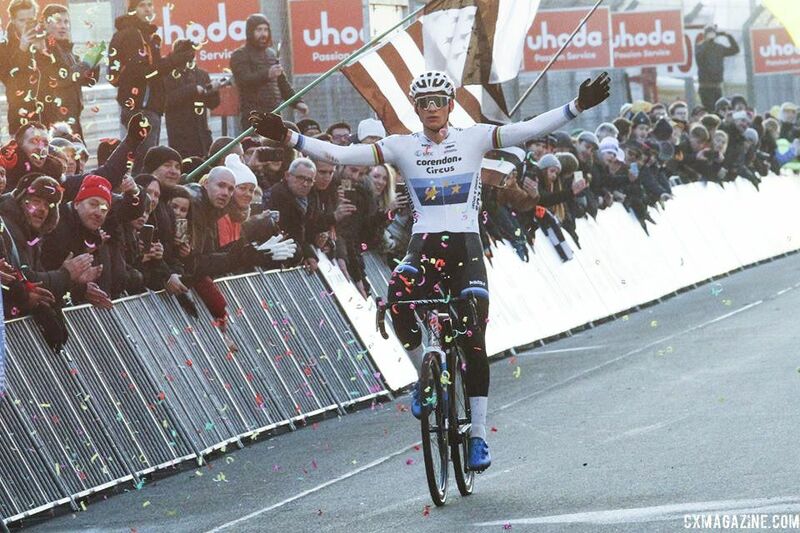 We caught up with the up-and-coming young Belgian rider after his race. 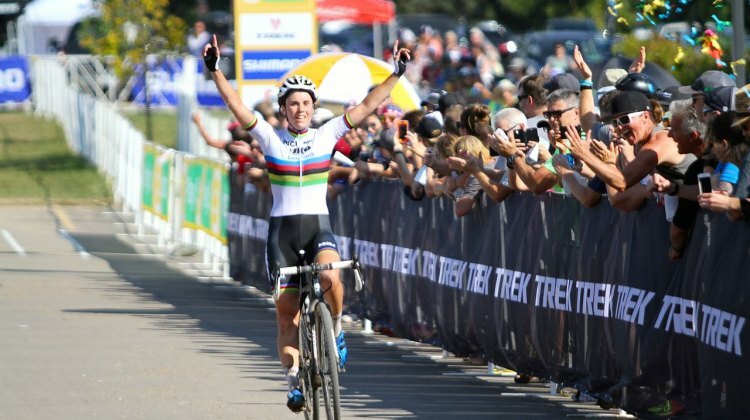 Corne van Kessel positioned himself perfectly in the chase for the finishing sprint to take 2nd at World Cup Waterloo. We spoke with him after the race. 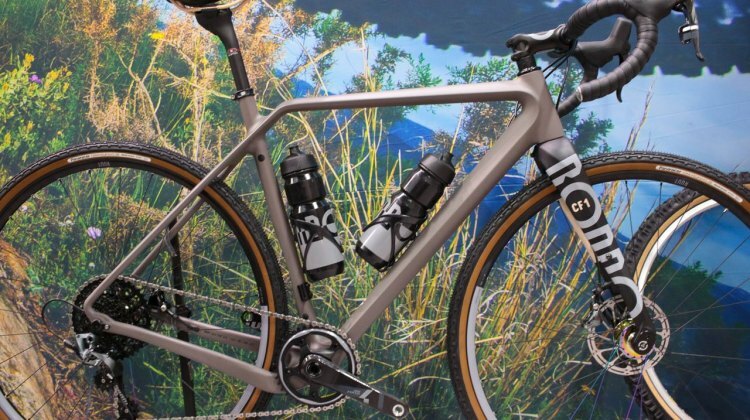 Rondo Ruut CF1 gravel/adventure bike features radical tube shapes and a TwinTip front fork to adjust between racing and adventure geometries. We take a look at this new ride from Poland. 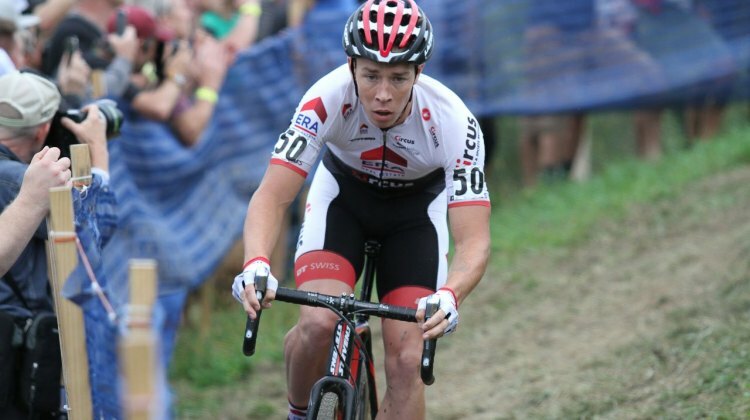 Photographer Jeff Curtes was at World Cup Waterloo in his native Wisconsin. 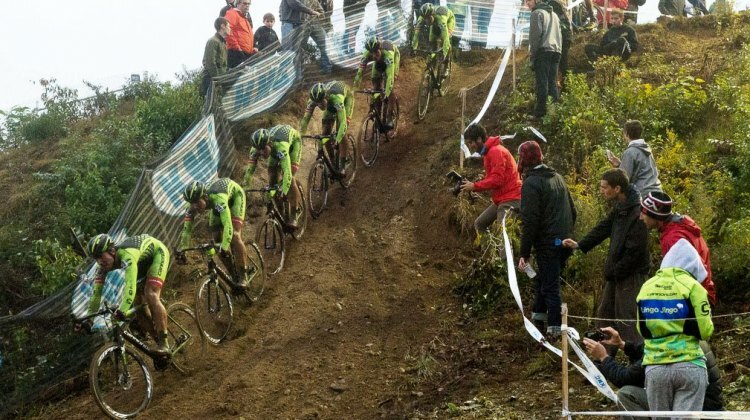 For this photo gallery, he provides a different perspective on the big race. 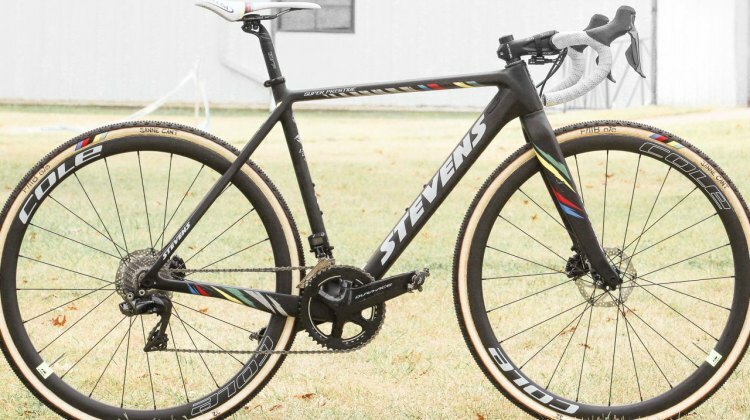 Sanne Cant won the 2017 World Cup Waterloo on a Stevens Super Prestige that has been updated since last year. Take a closer look in our bike profile. 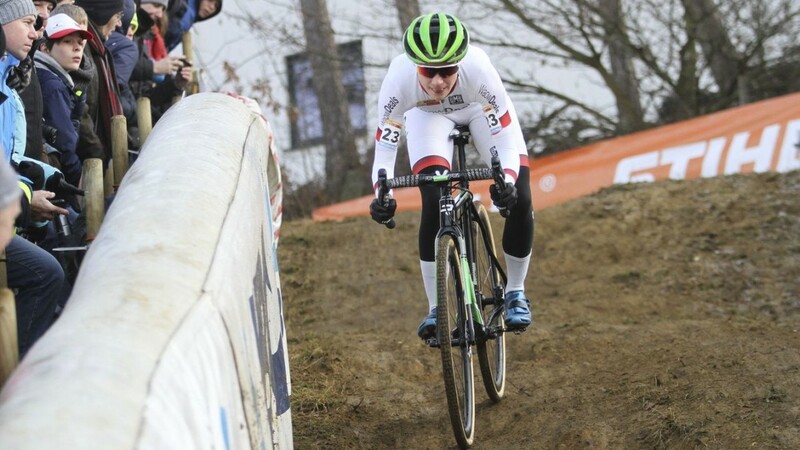 Kaitie Keough, aka the Little Badger, had a memorable homecoming at the 2017 World Cup Waterloo with her 2nd-place finish. 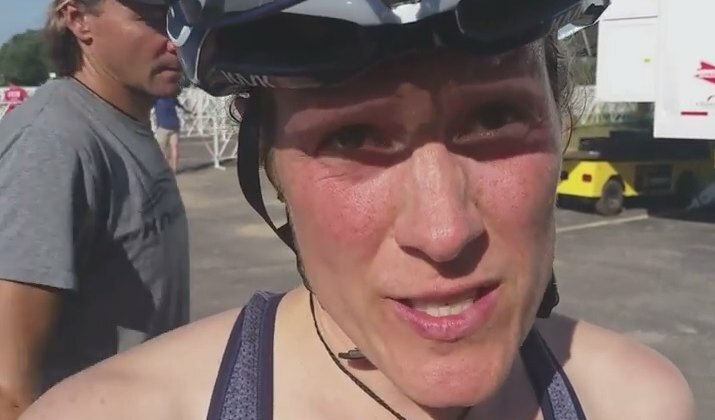 CXM spoke to her after the race. 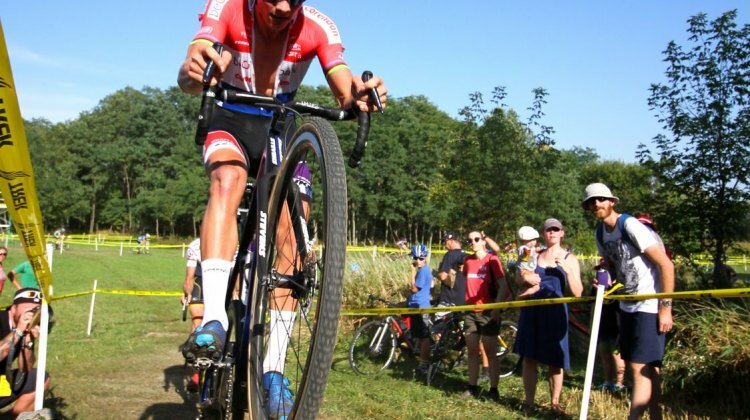 Matthieu van der Poel continued his hot start to the new cyclocross season by dominating the 2017 World Cup Waterloo. Our report tells the story. Sanne Cant bounced back from a tough week to attack the 2017 World Cup Waterloo and leave the others to settle an exciting race for second. Wisconsin has some tough town names to pronounce. 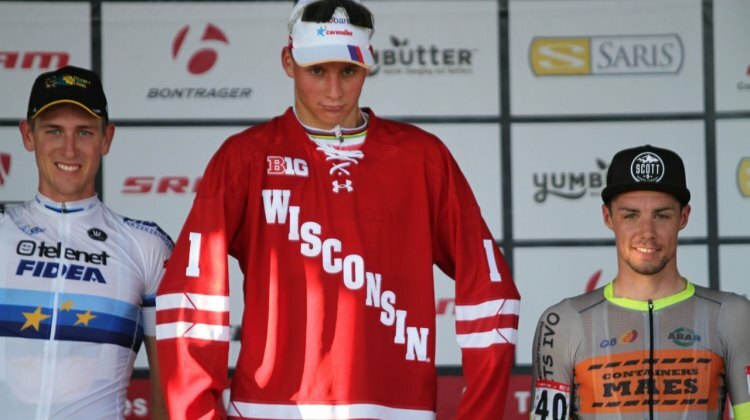 We gave some European cyclocross stars a chance to try their hand at speaking Wisconsin in this video. 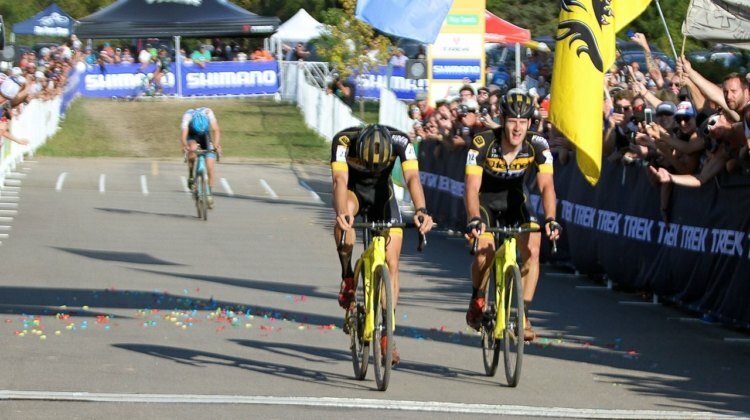 Mathieu van der Poel, Toon Aerts and Vincent Baestaens were the podium at the Trek CX Cup on Friday. Hear from each in our post-race interviews. 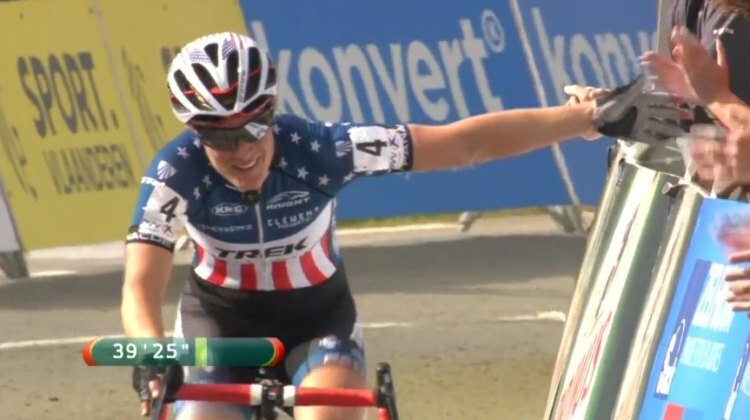 Katie Compton, Loes Sels and Christel Ferrier-Bruneau reached the podium at Friday’s Trek CX Cup. Hear about their races (and the heat) in our interviews. 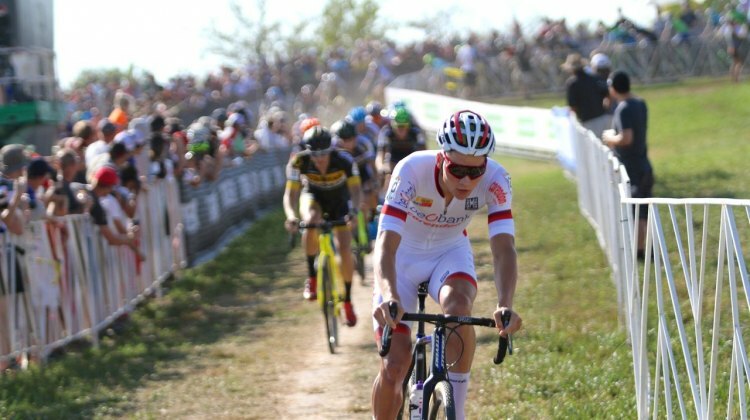 Mathieu van der Poel attacked later than normal on Friday, but still won hte 2017 Trek CX Cup. Read out race repoert for all the details. 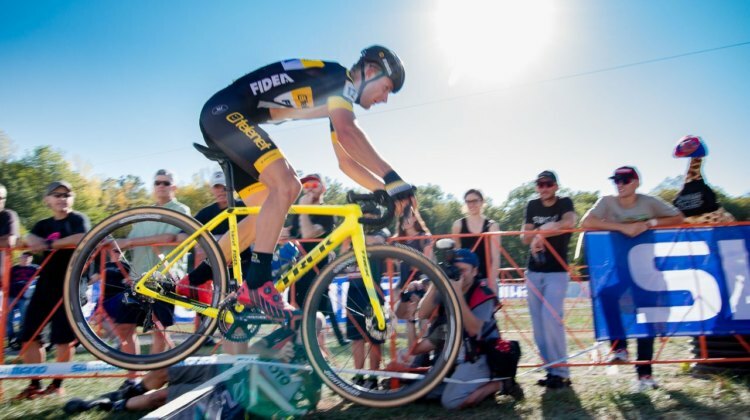 CXM readers submitted questions for Sven Nys, and we asked got his answers in a video interview. See what the Belgian legend had to say. 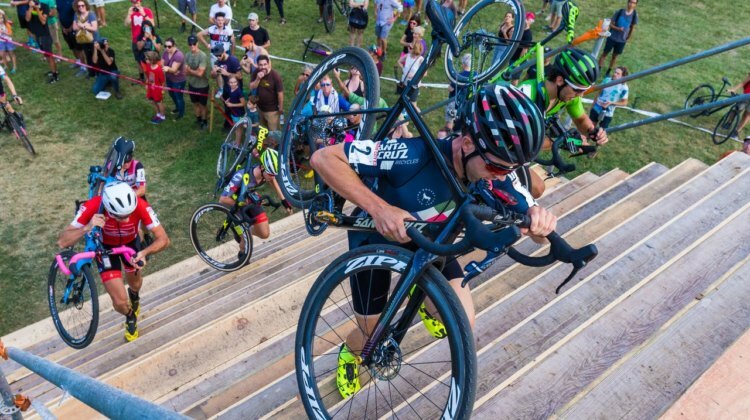 The cyclocross world is in Waterloo, Wisconsin, this weekend for the Trek CX Cup and World Cup Waterloo. We have details about the weekend of racing. The Sweek brothers were the only two Belgians to make the trip to Vegas. They had a strategy before the race, but within a lap, it fell apart. 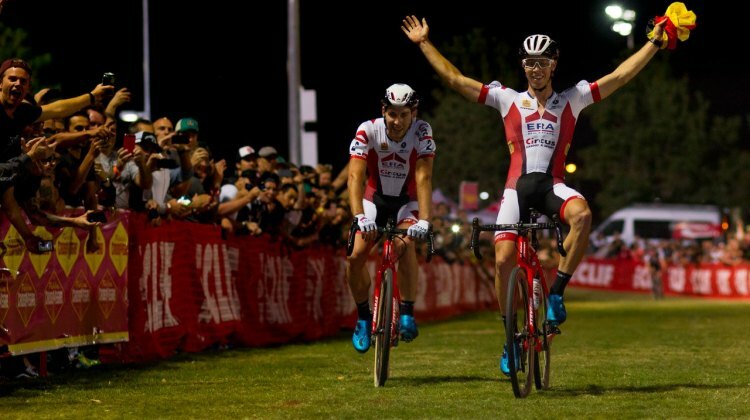 Laurens Sweeck attacked in the first lap at the 2017 CrossVegas to get his winning gap. Diether Sweeck finished second. Full results are here.